With flagship phone prices going up, it’s very tempting to start looking for bargains online — find a hidden jewel that gives you the same amount of bang for a lot less buck. Nowadays, it’s very easy to find and buy an obscure phone from an e-retailer. And the choice is plentiful — if one was to go down the rabbit hole, they would very quickly be bombarded with incredible offers. From smartphones that have the same overkill specs as your mainstream flagship, but at a much lower price, to handsets that are still expensive but offer some crazy and rarely-seen feature, like a sliding mechanism for the selfie camera, two screens, or some other obscurity. But is it worth it to bite the bullet and go for one of these unheard-of phones, instead of splurging $1000 for the most recent Samsung or Apple flagship? For the past couple of months, I’ve been on a severe “mainstream phone” detox program. So, I went through whatever devices we have in the office and picked up whatever I found weird or interesting. Every couple of weeks, I would switch it up, as my mind craved the next experiment. The contenders ended up being the Xiaomi Mi Mix 3, Honor Magic 2, Vivo Nex Dual Screen, and Xiaomi Mi 9 to round things off. The very first thing I am concerned with when I see one of these handsets is “Will it run like a turtle?”. I’ve used obscure phones in the past and the experience was… less than ideal. Since these specific manufacturers like to add a ton of crazy features on top of Android, the OS used to get bogged down a whole lot. Nowadays, it’s a different story. Over the past couple of years, Google’s Android has reached a point of maturity where you can say it has grown to have all the core features that a contemporary phone might need and is stable enough to handle heavy and complex tasks, and elaborate reskinning. Thankfully, Android already has stuff like split-screen multitasking, biometric lock support, power saving, Google Play Protect, and various other tidbits baked in and working flawlessly with the system, so manufacturers don’t need to come up with their alternatives, which may or may not work solidly. They just build on top of what the core system offers. The result is a much more fluid experience. Even the Vivo Nex Dual Screen, which reskins Android to the abyss and back, felt responsive and smooth, with no slowdowns and no frame drops. Nice. Of course, credit should also go to the custom UI engineers — they have probably gotten better at it over the years as well. And the advancement of the chips that hum in these devices — most of the phones I used are powered by a Snapdragon SoC, which has grown to be a considerable beast of its own. 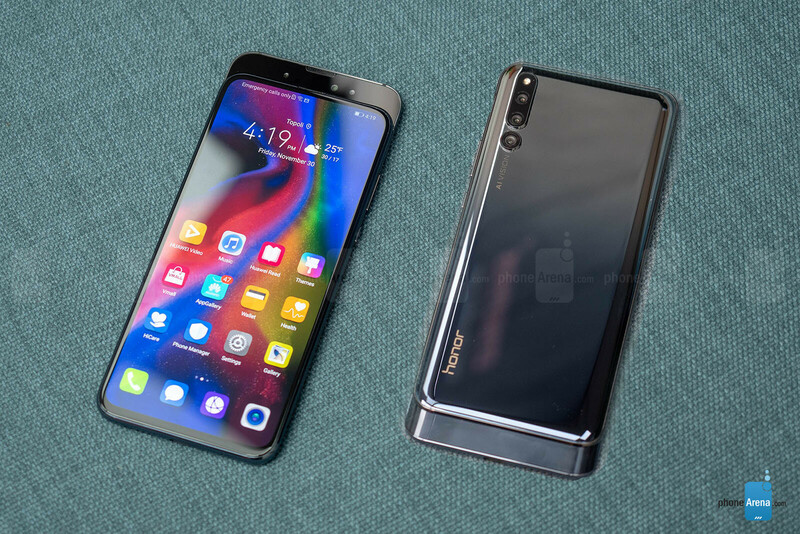 Only the Honor Magic 2 sported a different silicon — that being the Huawei-made Kirin 980, which also did not disappoint one bit. 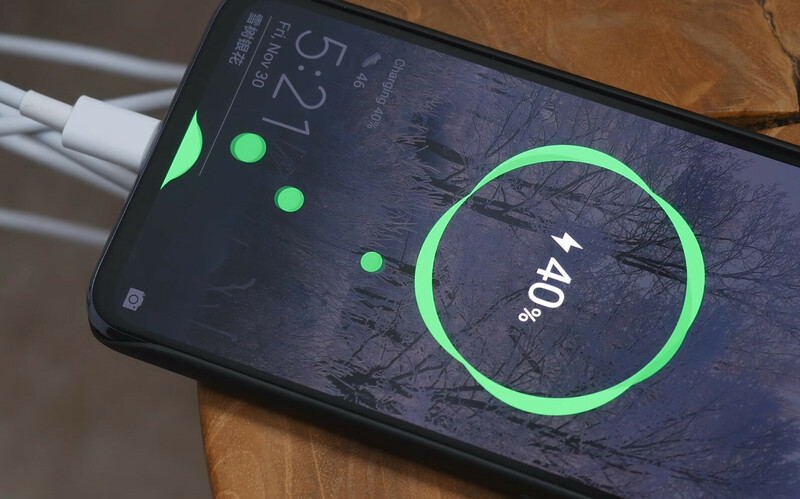 Save for the Xiaomi Mi 9, the devices in my test had incredible battery life — two days easily. So much so that I quickly lost the habit for overnight charges. With all of them supporting some type of fast charging, I was able to top up at whatever point of the day I noticed the indicator hitting 30% or below. So, basically, my battery phobia pretty much went away. Getting a phone that only lasts a day now feels annoying and cumbersome. Each and every one of these phones is very big on security and app permissions. There is usually at least one app-killing system in place, ready to terminate a process whenever you are not using it and you will always be notified if a specific app is draining more energy than the phone deems it should. This, of course, is a double-edged sword. On one hand, it gives you an incredible boost in battery life, as stated above. You also don’t need to worry about apps bogging your performance down — most of them are frozen or dead. On the other hand, notifications or even alarms may get blocked. This is, of course, unacceptable. And yes, you need to do this on a per-app basis, so don’t forget to come back to the same toggles when you install a brand new app from the Play Store! Two of the phones I tested were “sliders” — the types where you need to slide the phone’s front panel down to reveal the selfie camera. 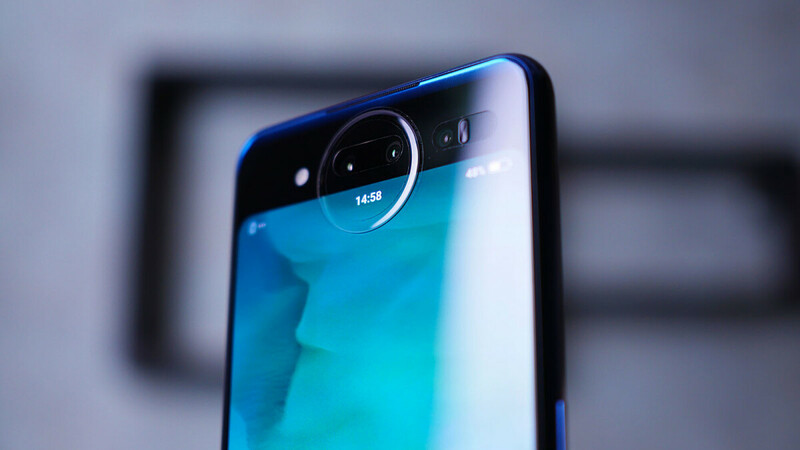 The third had a dual screen — no selfie camera at all, you just turn the phone around and use a smaller screen on the back to take selfies with the main snapper. Of course, all of them have thin-bezeled screens with no notches as a result. At first, I thought the hidden cameras wouldn’t bother me at all — I am barely into selfies. But I was proven wrong-ish. The fact that these specific cameras made me put in the extra work to access selfie mode kind of underlined to me that I do use a front-mounted snapper more often than I would think. Usually to send a funny reaction when someone asks “What are you up to?” and I am too lazy to type a response. Yeah, we are living in the future for sure. Back to the selfie cameras — the mechanisms and solutions are cool, but I found them to feel cumbersome and inconvenient. Especially the sliders — when the viewfinder pops up and reminds you “slide phone open to activate camera” you quickly start shuffling the phone in your hand, changing your grip so that you can snap it open without dropping it. Sometimes, when your hands are cold and dry, you barely have enough grip to slide the device’s panels apart. And the slider’s opening always manages to gather all the dust and lint from your pocket, so you can be sure your selfie cam will be smudged up the next time you open it. The experience with the Nex Dual’s second display is similar — open viewfinder, get reminded that you need to turn the phone around, begin awkward grip readjustment to turn the phone around, take selfie, then turn the phone around again. It’s not game-breaking, really. I was able to survive the ordeal for sure. But it’s worth pointing out that when I finally did switch to the Xiaomi Mi 9, which has a small notch and a selfie camera on the front, I kind of felt relieved that I won’t be doing any more hand gymnastics whenever I want to take a selfie with my dog. Buying an obscure phone from an online retailer will very rarely result in smooth sailing for the first couple of days you get to use it. Unlike your regular mainstream phones, which are fine-tuned and set up for your market, you will instead get a device meant to be sold in China or India. This means you may or may not have a Play Store app installed, so you may need to download and apply the Google framework to the device manually. The device you get may block the use of any launcher you download from Google Play (yes, the Honor Magic 2 does that for security reasons) or it may employ gesture controls in a way you severely dislike or would like to change. For all of this, there’s usually a fix. But it will require you to be proactive, look for the solution, and likely run an ADB Shell command in command prompt. On one hand, this sounds like an inconvenience. On the other — it was pretty easy to accomplish whatever I needed with the help of Internet tutorials, which there are plenty of. So, should you or should you not buy a Chinese phone instead of a run-of-the-mill Galaxy? I would say that if you are feeling a bit adventurous and tech-savvy, if you don’t mind experimenting and looking for ways to deal with an unforeseen issue or two, if you are not averse to the concept of hooking your device to your computer via USB and typing “adb” in command prompt, you may have a bit of fun with such a phone. If something goes awry, if an app doesn't work right, or if you get a nasty software bug — you're on your own, with limited support but the endless knowledge of the Internet Android fanbase. If you are willing to take those risks and spend more time on fine-tuning your phone, you can end up with a device that runs great, feels unique, and looks like nothing your peers have seen. To top it off, you need to be careful pre-purchase — take a good, long look at what bands the phone of your choice supports and what bands your carrier uses to provide its services. If you want a phone that works and sets up like a dream straight out of the box, with no extra reading or no troubleshooting required, and a phone that has official support contacts where you live — sticking to a mainstream brand is still your best bet. Can you go into more detail about where you were using these phones and what networks you were using (AT&T, T-Mobile) Did you have any issues (unsupported bands)? They all work on US GSM LTE networks except the Vivo Dual-display. The Xiaomi's also work on Verizon but I'm not sure about Sprint. I've been using various Chinese brands for about 6 years and I've had my fair share of junk. In the last 4 years or so the quality and features have been excellent. The top Chinese manufacturers such as Vivo, Oppo, Huawei and Xiaomi generally release 2 or 3 versions of their flagships, China, India/International where the latter could be the same phone. What I've found, and it happened with my Vivo Nex, is the version tested by most reviewers is the first model out and that's almost always the Chinese version. They then draw their conclusions from that particular model and by the time the international version is released they've moved on and forgotten about the phone. Needless to say this is wrong and in the case of the Nex and Xiaomi the international version is completely different to the Chinese one with zero adjustments necessary and all US bands covered. If anyone wants to buy a Chinese phone stick with Vivo, Oppo, Huawei and Xiaomi and wait a few weeks for the international versions. It's well worth the wait. I wonder to what to extend there is an obscure dome over there so dearly protecting people from knowing Honor Magic 2 let alone Honor brand? Whole Europe embraced Honor years ago. This was a very interesting read but I'm good on ever doing this. While the battery life point sounds great, the amount of work is not for me. Unfortunately it doesn't cover Bands 1,3,7 and 28 for Europe and the rest of the world. Another reason I didn't buy it. The International NexS however covers everything. Dual screen is dumb. Slider is dumb. I’d take a hole punch or a teardrop notch. They’re unintrusive and they work. These phones usually support only some of the US bands but not all and as such you might have a reduced experience using them in North America. Nope. Do some research and buy what works for you like any other phone. Kimovil and Willmyphonework are essential. My phones work great. Don't knock it until you try it. You went for the more mainstream Chinese phones. That's fine. And it sounds like they are generally well designed beasties. But what about going full obscure Chinese? A month of Doogee and other cheap phones from AliExpress. There's the challenge. Lol. You're so right. I started off with iNew, Jiayu, THL (not bad actually), Blackview (malware infected $hit) etc. They were not very good phones at all. The only one I really enjoyed was the THL 5000T which had insane battery (5,000mah) life. Ever since i bought the international version of Huawei xiaomi and Vivo unlocked phones in the past 3 yrs, i noticed that i can Never go back to Sammy again. Why? because I prefer to have FREEDOM. Anything OnePlus or Xiaomi is bound to be awesome. Oppo isnt too bad either, but they tend to opt for lower class CPUs, but have awesome cameras.. Vivo and other sister brands seem to be doing well too. Never rule them out when you're on a budget.